The Syrian Network for Human Rights is a human rights organization founded in June 2011. SNHR is a neutral independent non-governmental, non-profit organization. We aim to document the human rights violations occurring in Syria, by periodically submitting research and reports with the highest levels of professionalism and objectivity, in order to expose those responsible as a first step to hold them accountable and to ensure victims’ rights. It should be noted that the UN depends on SNHR as the primary source for its statistics in analyzing the victims of the conflict, as well as several other Arabic and global news agencies along with other international human rights organizations. SNHR mainly bases all of its reports and researches on the investigations done members inside and outside of Syria. These investigations are conducted through visiting and meeting with survivors or eyewitnesses. All the incidents mentioned in this report also exist in the form of extended reports and studies available and published in Arabic and English on SNHR website. The international humanitarian law and international customary law along with the international human rights law are the laws acted by and they are binding to all conflict parties. SNHR asserts that all of the facts and statistics in this study are only the minimum of the grave violations that have happened and are still happening in Syria from March 2011 until March 2015. Government forces include: All fighting forces from the Syrian army, intelligence, security and local militias such as the National Defense Army and others joined by the foreign Shiites militias that are fighting in Syria. 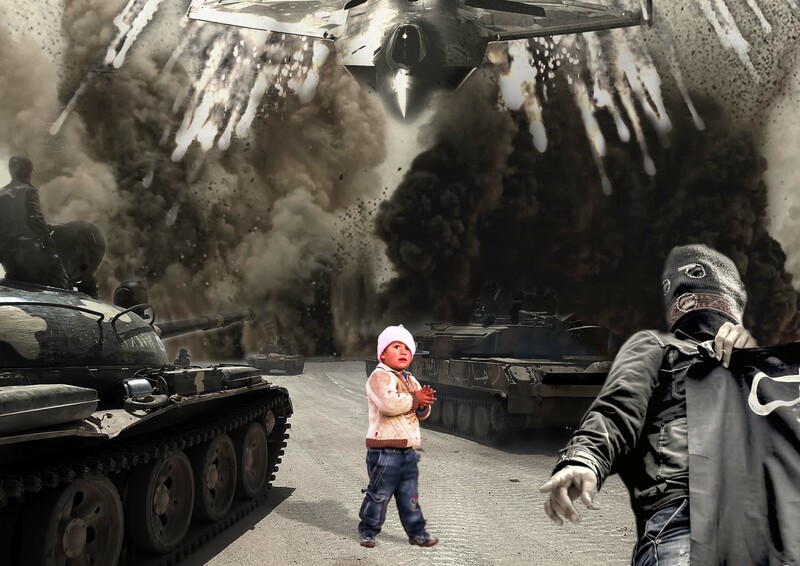 From the beginning of the peaceful demonstrations in Syria during March 2011 until 10 March, 2015, SNHR has documented the death of 176,678 civilians who were killed at the hands of government forces including 18,242 children and 18,457 women. 11,427 of the 176,768 killed by government forces died under torture. The percentage of women and children killed to the overall number of victims amounts to 19%. Such a high number of deaths explicitly suggests that the government forces have been targeting civilians by indiscriminate shelling and execution. Wednesday, 23 March 2011, the government forces opened fire on demonstrators who tried to sit-in to break the siege over Daraa causing the death of 47 including a child. Friday, 29 April 2011, government forces fired live bullets on demonstrators who were in a sit-in, in front of the military security branch in Rastan in Homs causing the death of 15 people. Friday, 3 June 2011, government forces killed 65 people where they opened fired on tens-of-thousands of demonstrators in the Al-Asi Square in Hama city. Sunday, 4 September 2011, government forces stormed the town of Khan Shaykhun in Idlib, killing nine civilians, including a female child and a person with special needs where government forces opened fire randomly. Friday, 27 January 2012, government forces fired on demonstrators in Marjah neighborhood in Aleppo, which caused the deaths of nine civilians. Thursday, 31 May 2012, SNHR reported the deaths of 12 employees of the nitrogen fertilizer factory in Homs after being kidnapped at the Kattina checkpoint of the government forces. They were taken to a nearby farm, tortured and then field-executed by live bullets. Their bodies were disfigured. Saturday, 23 June, 2012, government forces shelled Duma in Damascus suburbs, killing 10 civilians. Wednesday, 22 May 2013, regime-supporting sectarian militias from As-Saboura village field-executed 16 individuals from Jeb Al-Khasara village in Hama, including 3 women. Wednesday, 18 December 2013, government forces shot civilians trying to flee from the town of Beit Sahem in Damascus suburbs, killing 45 people including eight women and one child. Thursday, 21 November 2013, government forces bombed the Karam al-Shami neighborhood in Homs with mortar shells, which led to the death of 27 people including nine children according to SNHR. Wednesday, 30 April 2014, government forces killed three civilians, including a child, in a missile strike on Sevat village in Aleppo. Sunday, 21 September 2014, government warplanes missiles targeted two agricultural projects in the surroundings areas of Saracib in Idlib, which resulted in the death of 19 civilians, including nine children and six women. Sunday, 2 November 2014, government forces stormed Karim village in the suburbs of Hama governorate, and opened fire randomly, causing the deaths of 15 including a child, and three women. Thursday, 5 February 2015, government warplanes bombed Irbeen in Damascus suburbs, killing seven people, including two children and two women. SNHR estimates the detainees number to be 215,000 cases at least. We have lists of more than half of them including 6,580 women and at least 9,500 children. SNHR noted that the year 2011 was the worst for government forces in targeting doctors, journalists, lawyers, and artists, whereas 2012 was the worst in the matter of the number of detainees and missing individuals in addition to the wide targeting of women and children, where the percentage of detained and missing children reached 3% and women 4%. The year 2014 has recorded a notable escalation in the targeting of people aged 22 to 40 by government forces, where government forces carried out mass arrest campaigns to conscript youth to fight on the government side. Many of the detainees gradually became forcibly-disappeared as we gradually lost any information about their whereabouts as well as any means of communication, even with their families and friends. Even though Syria is not a part of the International Convention for the Protection of All Persons from Enforced Disappearance, it is under the jurisdiction of the International Convention on Political and Civil Rights which forbids enforced disappearances. The Syrian government have perpetrated grave serious violations that qualifies as crimes against humanity through committing the crime of enforced disappearance in a widespread and systematic manner. The number of forcibly-disappeared persons have exceeded 85,000 individuals.